Paige is a trainee accountant with 4 years experience in the industry. Passionate about forging a career in the Accounting industry from a young age, Paige got a head start and spent 2012-2014 completing a school-based traineeship with the Commonwealth Bank, and a Certificate II in Financial Services, while finishing her senior study. Currently studying a Bachelor of Accounting at Charles Sturt University via distance part-time, and working full time at Dacey & Partners; combining both textbook knowledge and practical training to fulfill her dreams of becoming a partner of the firm. Paige has been a full- time employee with us since January 2014. She has grown and maintained business relationships with clientele and prides herself with upholding Dacey & Partners core values and principles. She is a student member of IPA (Institute of Public Accountants) and recently became a Justice of the Peace for NSW. In 2018, she also completed an Income Tax Course which expanded her knowledge. Paige also keeps updated with recent changes to software and industries by attending webinars and seminars on a regular basis. Paige has experience with: Individual Income Tax Returns, Business Activity Statements and Installment Activity Statements, Business Consultations / Business Setup, Online Accounting Software, and much more! 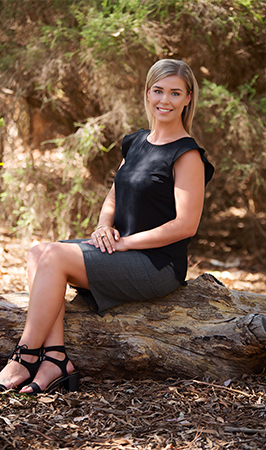 Being a confident, bubbly and knowledgeable young lady; Paige will sure be able to help you with your Accounting needs!